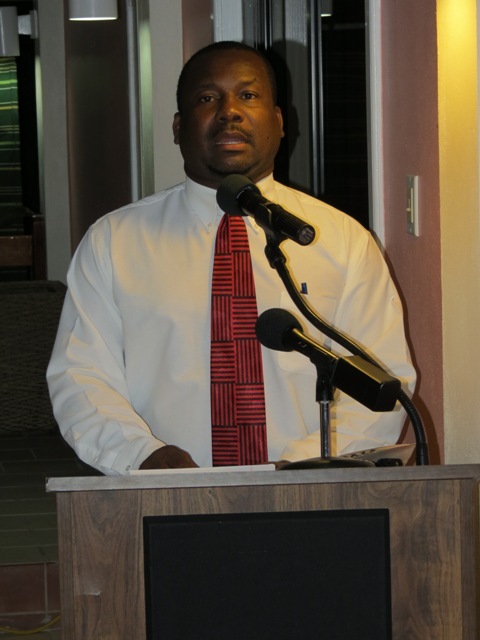 NIA CHARLESTOWN NEVIS (November 25, 2014) — The Nevis Island Administration (NIA) recognised a number of outstanding teenagers on Nevis for their achievements, at a reception hosted in their honour at the Mount Nevis Hotel on November 22, 2014. The Most Remarkable Teens of Nevis 2013 and 2014, were honoured through the Ministry of Youth and Sports, on the heels of a special sitting of the National Assembly on November 19, 2014, when the Federation’s 25 Most Remarkable Teens for 2014 were awarded by members of Parliament. Permanent Secretary in the Ministry of Social Development Keith Glasgow addressed the invitees and explained the rationale for the recognition. “We are indeed proud of you, our most remarkable teens. We think that it is important to recognise you because with all of the distractions in the world, you have made the cautious effort to be optimistic, goal oriented and to make a positive impact on your society,” he said. Coordinator of Youth Development Zahnela Claxton who was instrumental in organising the reception said she was pleased to meet the teenagers and encouraged adults to guide them. “It has been nothing short of a pleasure getting to know those teens who I did not know previously and those who I knew before, to just continue that relationship that we had previously established. “Remarkable is not even the adjective that I would use to describe them. They are so far beyond remarkable. When we think of our young people, sometimes we look at the negative side but there are so many young people on this island who have so much to offer and so, I want to encourage we adults out there, to encourage them and when we see that little light, help them to kindle it into a fire,” she said. Deputy Premier and Senior Minister of Social Development Hon. Mark Brantley who was also present at the reception, noted that the event was a fulfilment of the NIA’s recognition of the island’s remarkable teens. “It is for us as an Administration important, indeed, I would say critical, that we continue to demonstrate to all of our people but in particular, our young people, that we are truly committed to them. “What we have here represented this evening, are [some] of our most outstanding and outstanding in different areas, which I think is important. Often times we would celebrate those who have achieved academically, as we should but what I like about this evening, is that we have others who have achieved in different areas, whether it is overcoming adversity, whether it is in terms of music and their talent, whether it is in terms of academia. We have a collection of young people who, I feel, demonstrate that Nevis and her future are truly in good hands,” he said. 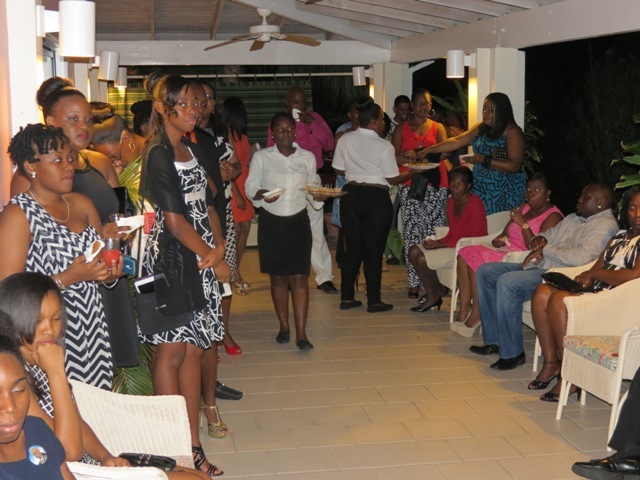 Other invitees to the reception were the island’s top students, based on their performances at the May/June 2014 Caribbean Examinations Council (CXC), Caribbean Advance Proficiency Examinations (CAPE), Caribbean Secondary Education Certificate (CSEC) and the Caribbean Certificate of Secondary Level Competence (CCSLC) levels. Mr. Brantley said he was particularly proud, as Nevis boasted of producing the Federation’s top four CAPE students. “I know young Nicoyann Blackette came out of the Clarence Fitzroy Bryant College but we claim her as our own and so, notwithstanding that, she was in that top four and CFBC is trying to claim her, I like to say that four Nevisians, one, two, three and four, paved the way and demonstrated in this Federation, the island of Nevis is truly remarkable. “Young Chloe Williams is with us and I would want to mention her especially because she is, of course, our 2014 State Scholar and I believe…that not enough can be said about our young people who have excelled and have excelled so brilliantly. I also would like to recognise my own daughter Brianna Brantley, who is here who performed creditably and emerged as the top CSEC student in Nevis. We hope that she can duplicate that kind of performance as she now moves to the CAPE level,” he said. 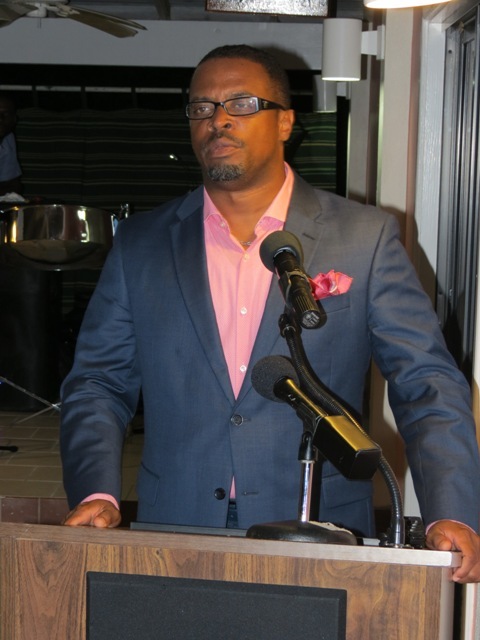 Minister Brantley also noted that the NIA remained committed to the island’s youth and would continue to celebrate them in every field of endeavour.